Don't judge a book by it's cover. Much larger than it looks. 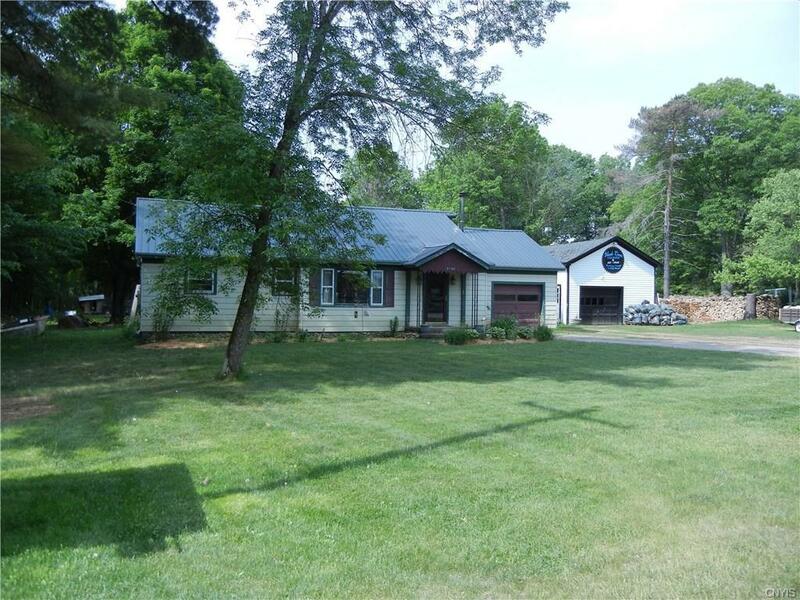 3 Bedroom ranch home sitting on 1.4 acres, priced to sell. Hardwood floors and carpeting are only three yrs old. As you walk in the front door the living room / dining room is open and spacious with a wood stove that warms up the space. A first floor laundry off the kitchen, and an enclosed porch allows for more space on those summer days. Steel roof is five yrs old. New submersible pump and water line. There is also a new 200 amp entrance installed. Detached 1 1/2 stall garage that is 30' deep gives space for vehicle and toys. Call for an appt today.